MPanel Production was developed specifically for the Marine Canvas industry. MPanel Production has a wizard type interface that guides you step by step through your project. 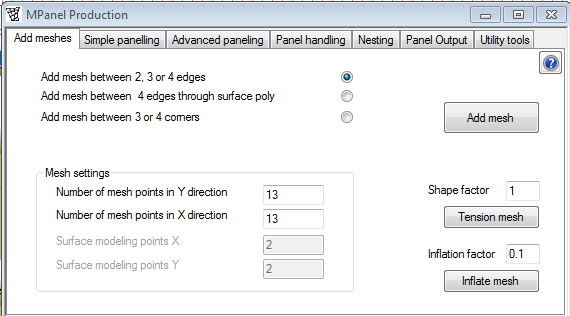 Working in Rhinoceros software as an add-on plugin, MPanel Production has tools that allow you to input all of the 'extras' that are needed...from drawing your model to seam allowances, panel stamping and output options. To view our videos on how MPanel Production works, please click here.